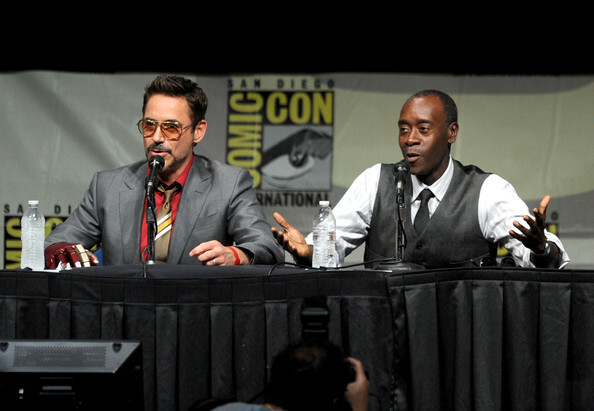 Actors Robert Downey Jr. (L) and Don Cheadle speak at Marvel Studios “Iron Man 3” panel during Comic-Con International 2012 at San Diego Convention Center on July 14, 2012 in San Diego, California. Posted on August 3, 2012, in IRON MAN 3, MOVIES, Uncategorized. Bookmark the permalink. Leave a comment.